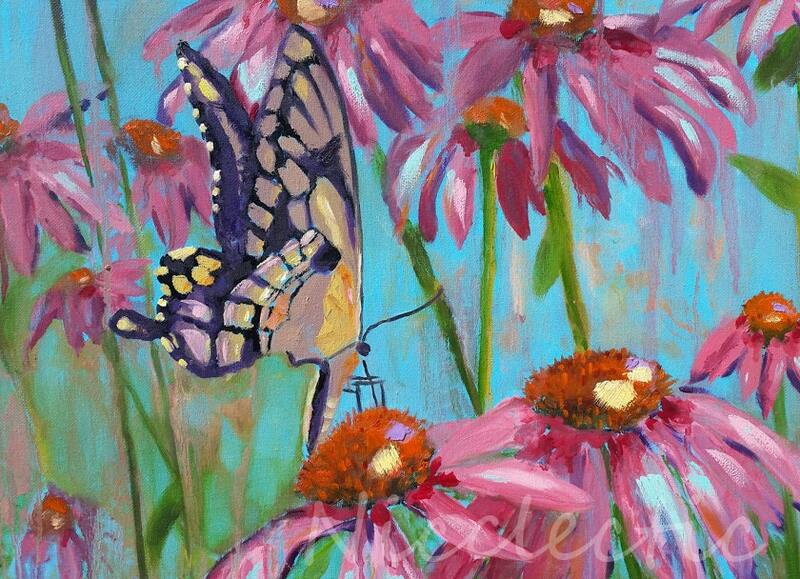 I couldn't resist painting this butterfly that landed on my Echinacea - so beautiful! I also love the way these colors play off each other. Feels cheery, like a bright, sunny day! 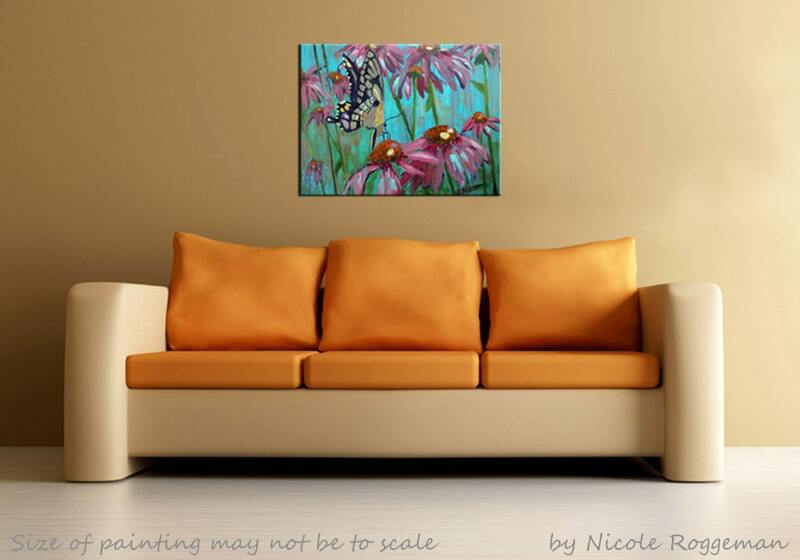 "Butterfly over Echinacea" is an original piece of artwork, not a print. 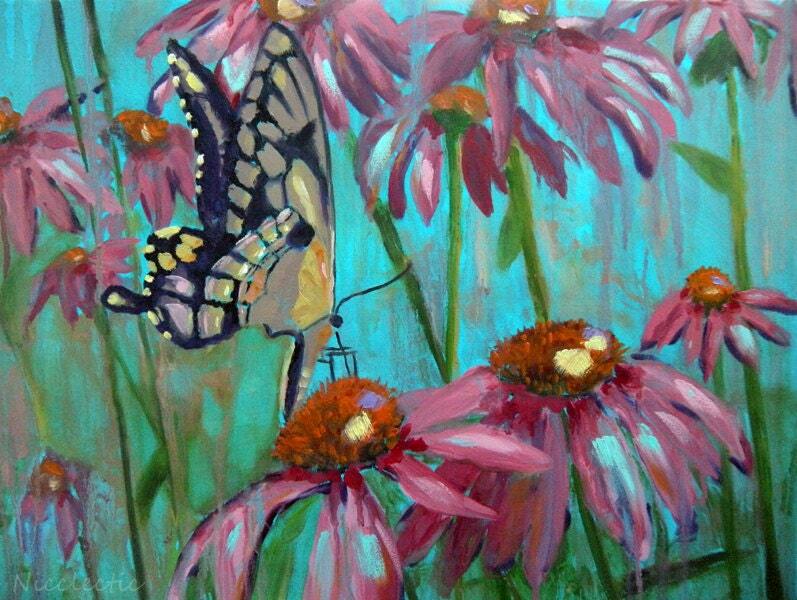 This piece is sized at 16 x 20 inches, done with oil paints. The sides have been painted gray for a finished look. 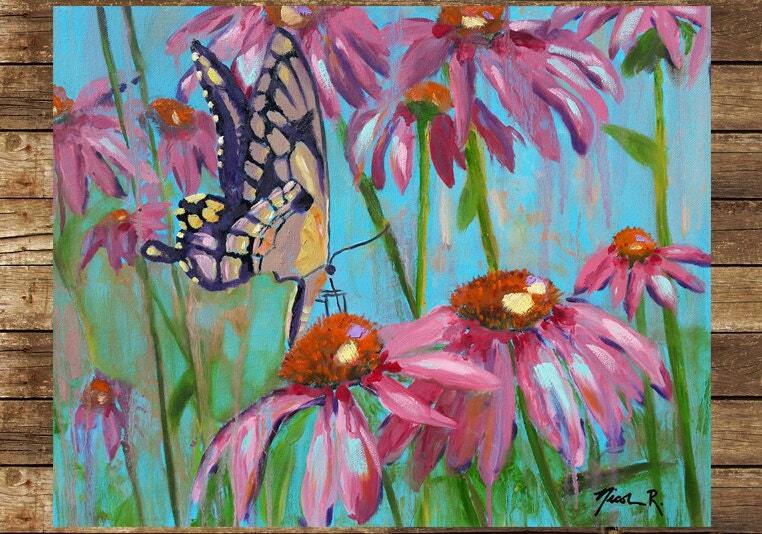 The painting has been signed, is ready to ship, and will be sent to you wrapped securely!